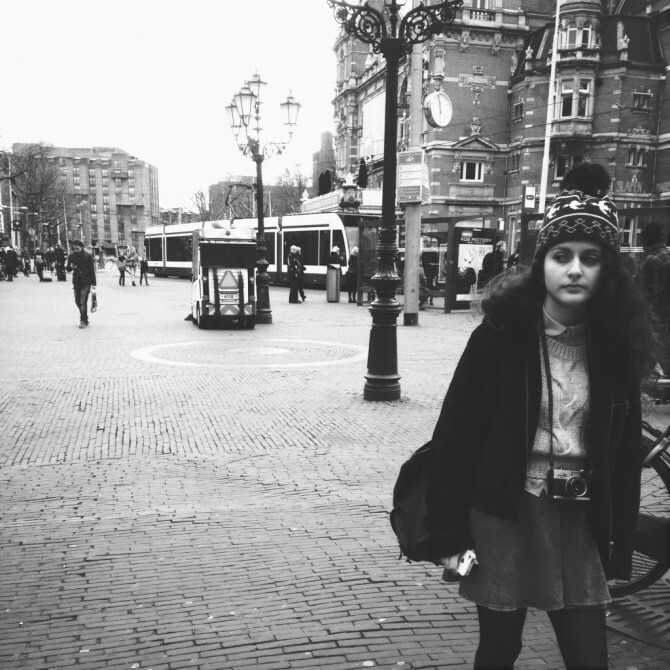 February 2014, Amsterdam, Leidseplein (Stadsschouwburg). The moment I took this picture, I was trying out my iPhone settings with my Instant 110 app. Suddenly this girl appeared. I think I was hit by her mood and the fact she was walking around, alone, Only after I had made the picture, I discovered the classic’ (modern?) camera around her neck. Maybe something I unconscious already had listed before. Hope she had a good journey.